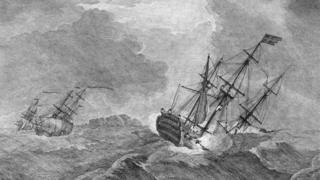 Home » What do drones and GPS owe to a 1744 shipwreck? Inspired by a child's spinning top toy, Serson wondered if he could create an artificial horizon – something that would stay level, even as a ship lurched and swayed around it. The first pilotless flight is often traced to 1849 – only three years before Foucault's gyroscope. As Jiayang Fan describes in the New Yorker, about four times a day, warehouse workers dispatch the village's orders on a drone that carries up to 30lb at 45 miles per hour. Everyone is happy – except for Big Auntie, the woman who runs the village shop.